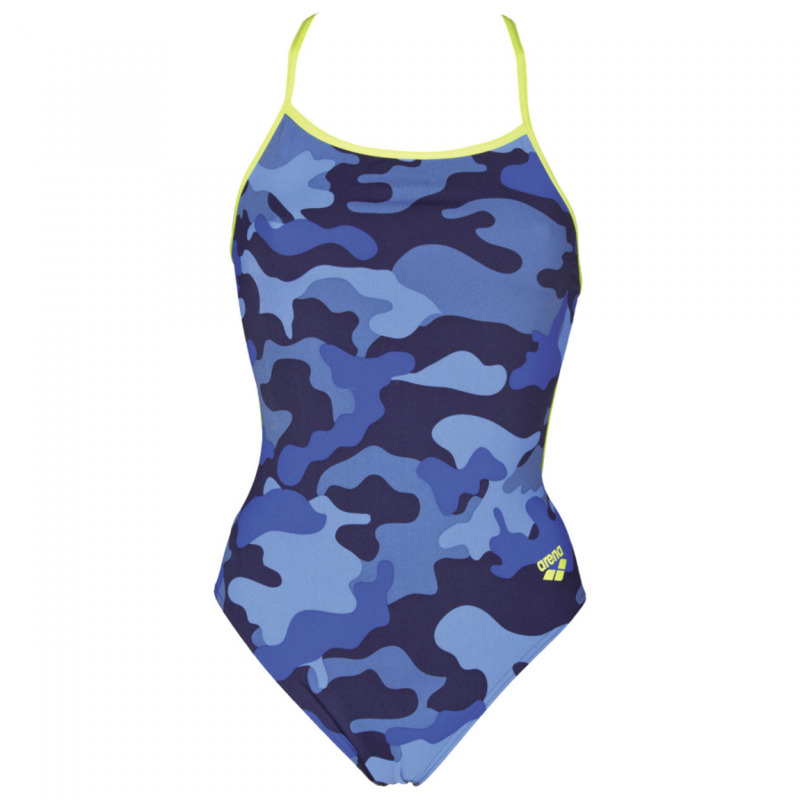 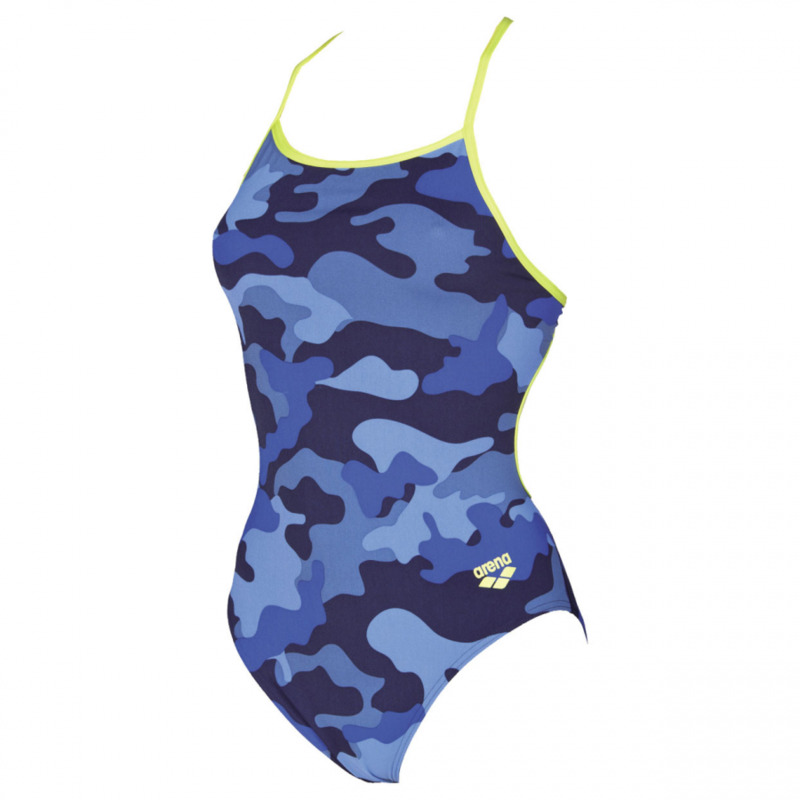 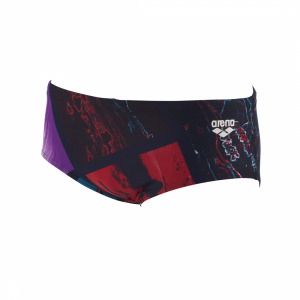 The Arena Chameleon swimsuit is lined and has an eye-catching all over camo pattern in various shades of blue. It features contrasting soft green yellow accelerate style straps which give this sporty suit a feminine look. 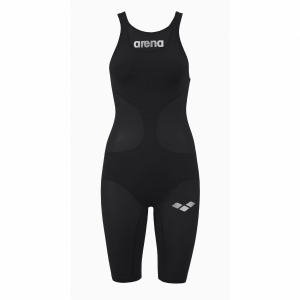 It is also available in black / grey.